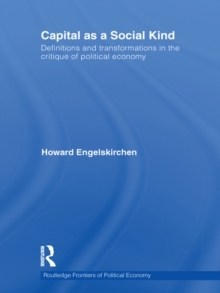 Capital as a Social Kind provides an introduction to social kinds in social theory. Thinking about kinds, the way we sort the things of the world into categories -- water, for example, is a natural kind - has made an important contribution to our understanding of science in the last half century, but these advances have been largely applicable to the natural, rather than the social sciences. Drawing on the rich examples offered by Marx's analysis of capital and exploring a methodology that will be of interest to both Marxist and non-Marxist social theorists alike, Capital as a Social Kind extends this approach to the study of social life. The book argues that, provoked by his study of Aristotle, Marx's attentions foreshadowed contemporary themes in the realist philosophy of science. 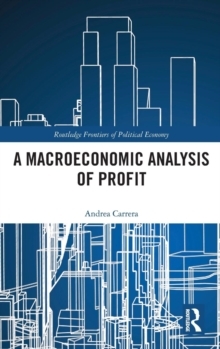 Importantly, social kind analysis is relevant not only to understanding his critique of political economy but illuminates also a materialist study of law, justice, morality and the transition to socialism. Social kind analysis also opens a path for the development of today's moral realism by suggesting the need for a systematic study of the causal structures of social life. In this respect the importance of normative themes in Marxism is defended against claims that the Marxist tradition lacks the resources to call capitalism unjust or to defend morality and human rights. The origin of capital, Marx suggests, can be found in the rupture of an original unity between the laborer and the means of labor, and the book explores the way a structure of separations best characterizes capital as a social kind. This uncovers a little developed emphasis in Marx's work - his focus on the phenomena of separation that define our lives and also on forms of association required to transcend them. Given that capitalism has made the instruments of labor instruments of social labor, forms of association that would recover worker control over them must be democratic. The transition to socialism, the book concludes, just is winning the battle of democracy. 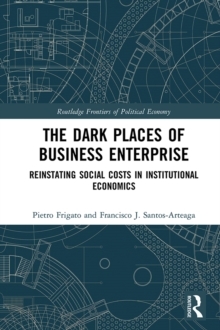 This book will be of interest to students and researchers of economics, philosophy and indeed any social science subject.